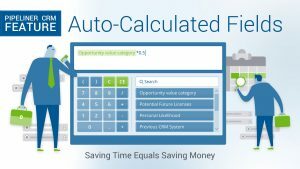 See how you can use auto-calculated fields to display data like sales commission amount. 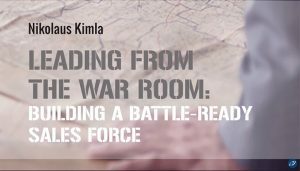 Pipeliner CEO Nikolaus Kimla summarizes his recent eBook-- Building a Battle-Ready Sales Force. 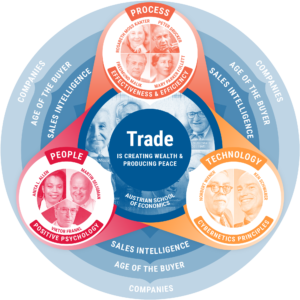 Quickly map out "who's who" in the company you are selling to and then identify which of them is going to influence each opportunity and how! 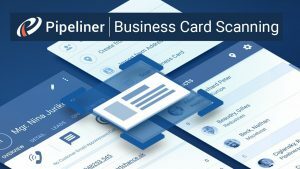 Here we walk you through Pipeliner CRM Hybrid - our online/offline version. 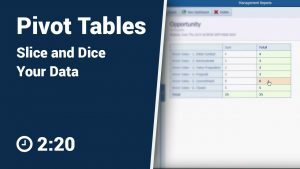 See how you can use pivot table functionality right in the Pipeliner management reports! 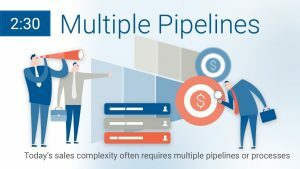 You can define actions a salesperson needs to take within each pipeline stage - even mandate them if you like. 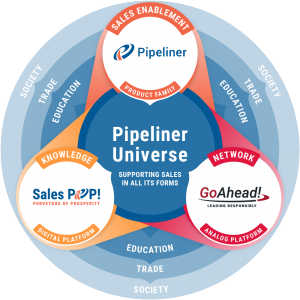 See how Pipeliner really is the truly effective sales enablement tool for Sales Managers & Salespeople! 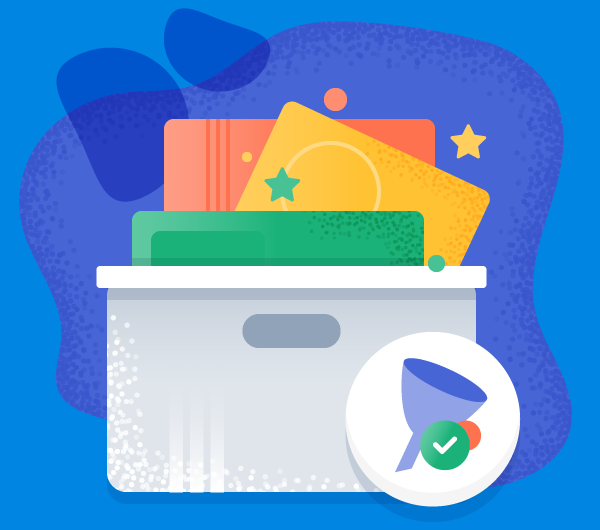 Visually track your tasks and identify which of them you should focus on. 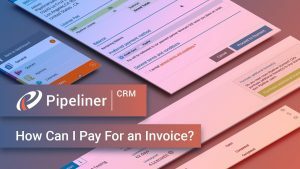 Short guide on how to pay for your Pipeliner CRM invoice. 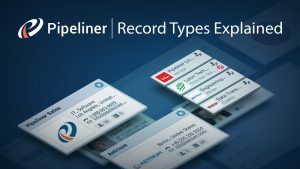 In Pipeliner you will find 4 main entities types (or records): Leads, Opportunities, Accounts, and Contacts. 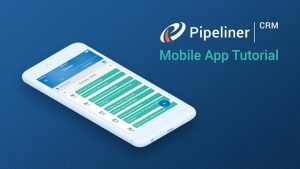 In this video, we will cover some more of the features in the Pipeliner CRM mobile app. 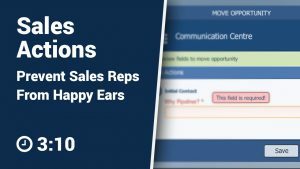 Managing the performance of your team is a crucial aspect of your work as a sales manager. 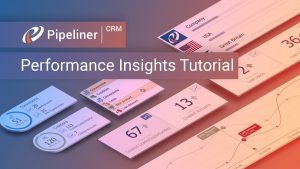 Performance insights enable you to do so. 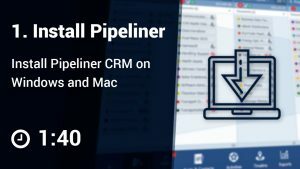 Learn how to install Pipeliner CRM Hybrid on Windows (with Microsoft Office) or Mac. 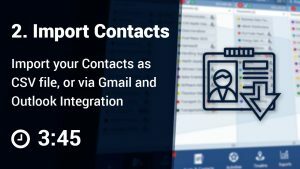 Learn how to import your existing contacts from Outlook, Gmail or as a CSV file. 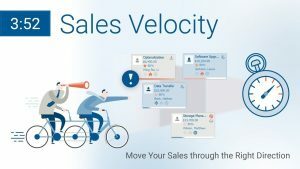 How to setup sales stages, velocity, and sales activities. 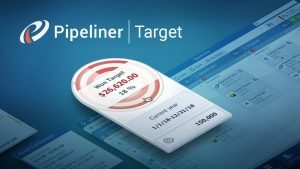 Now that your sales process is set up in Pipeliner, you'll want to learn about filters, profiles, targets and other tasks. 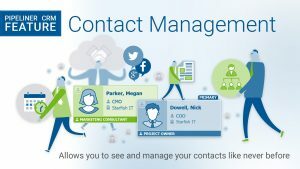 Adding, updating & viewing your contacts has never been easier! 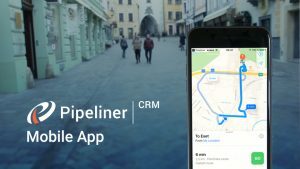 Sell on the go with the best mobile CRM available today! 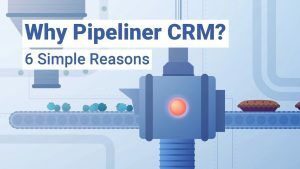 6 reasons why Pipeliner is the most effective and easy-to-adopt CRM on the market. 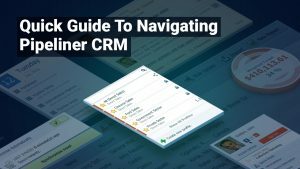 There are only a few basic concepts that you have learn that will make everything clear and straightforward and have you confidently moving around the app in no time. 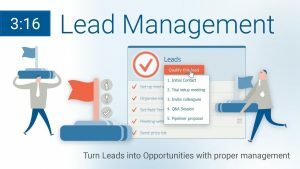 Records types such as Leads, Opportunities, Accounts, and Contacts are all available from the bottom navigation. 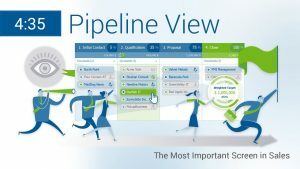 The pipeline view delivers an instant snapshot of how your business is performing now and how it is likely to perform in the future! 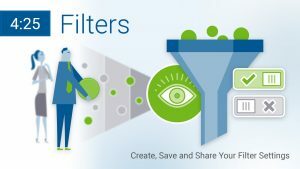 Pipeliner allows you to set what you see using robust filtering and then save and share those settings. Define what you are looking at and then save those settings as Profiles. 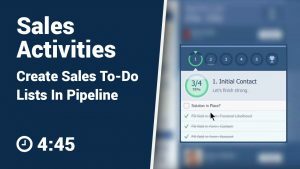 Managing your sales activities is managing your time. The better you can organise yourself, the more efficient and valuable you are going to be. 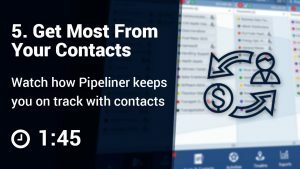 In Pipeliner, Leads live in two places - the first is under the Leads button, where you can see all the leads separately. 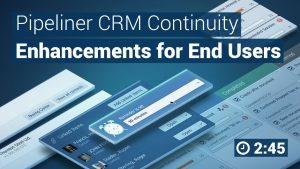 The second is in the pipeline view in their own sales step. 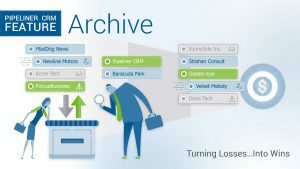 Archive is a place where your lost sales deals are saved, frozen complete in the sales step in which they were lost. 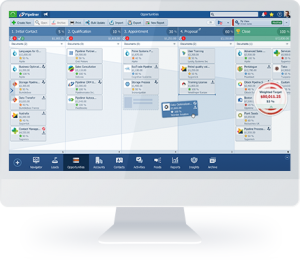 Pipeliner feed displays all tasks, meetings or messages created in Pipeliner. 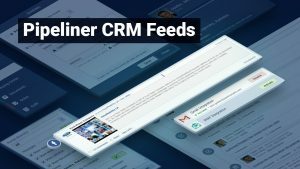 Feeds is also an internal instant messenger tool. 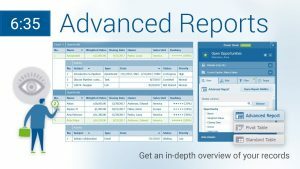 Advanced Reports allows you to create report of records and their subsidiary records in just one view. 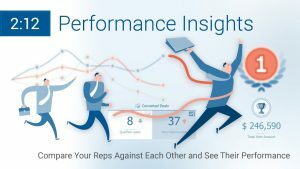 Display performance metrics visually and make it competitive to motivate your team. 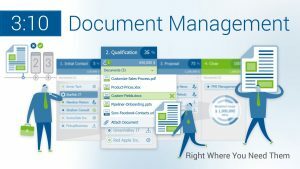 You will find multiple enhancements that will help you efficiently manage your daily duties. 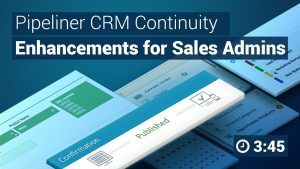 New enhancements that allow Admins to provide greater value to sales teams. Let’s look at them. 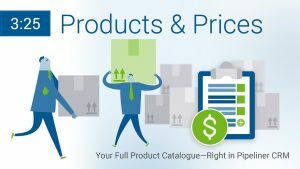 You can easily choose what products your prospect is interested in, with prices that will automatically update your Opportunity Value. What if your rep are selling to Chevron New York and next is selling to Chevron Nevada? Organise your Accounts. 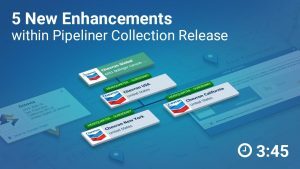 With the new Pipeliner Collection release, we have added multiple new enhancements. 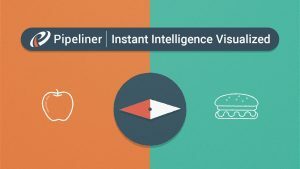 And thanks to this visual approach, information is instantly communicated. 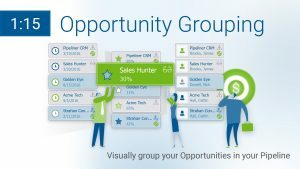 Group opportunities by visual groups of owners, accounts, ranking and others for different instant views. 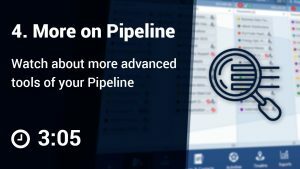 Watch how to setup multiple pipelines within Pipeliner and how to move opportunities from one pipeline to another. 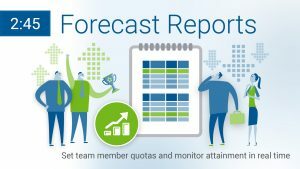 Set quotas, track them and share them with Pipeliner CRM forecast reports. 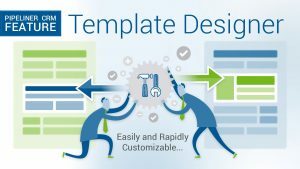 Create dropdowns that are interdependent so that your users won't have to choose from tens of options in one field. 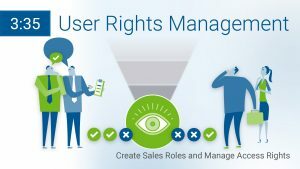 We have extended and simplified the way you manage user rights and roles within Pipeliner. Learn how, and what it means for you. 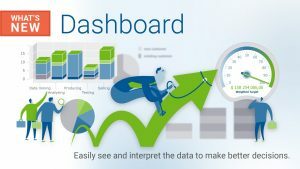 See what's new with our KPI Dashboards! You can now see the most lost reasons, or opportunity value vs. won ratio. 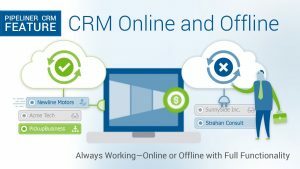 Offline capability for your CRM means that you can go off the grid, but keep your business alive even with no Internet access. 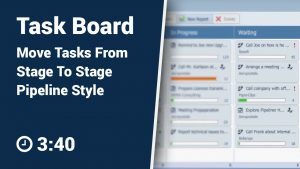 Task Automatization allows you to setup tasks that are created automatically when moving from stage to stage. 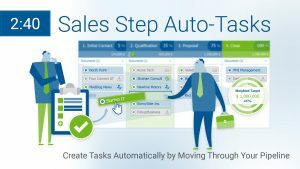 It saves both managers and salespeople from having to manually create tasks. 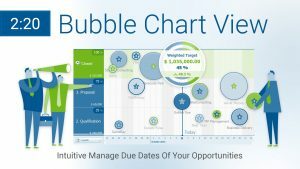 The Bubble chart helps me with prioritizing my opportunities because I can instantly see what opportunity has nearest due date, what is the value and at which stage they are. 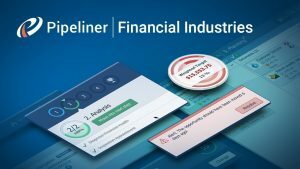 You can now compare values of any numeric field in Pipeliner to previous period. Including the fields you yourself create. 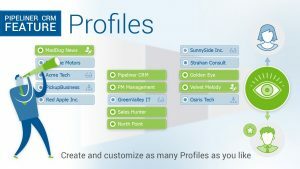 Let’s look at how you can adapt Pipeliner CRM to your business with our easy customization functions. 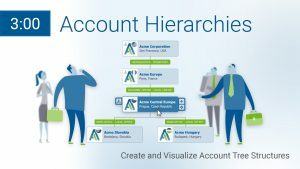 Acces your contact or account from opportunity or activity attached to it, or just go for Accounts and Contacts or vice versa. This document is important. But I have other pressing tasks. Where can I put it so it is easy to come back to and easy to find? 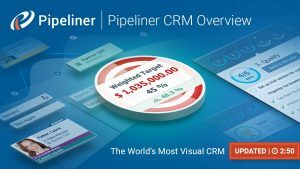 You can always have your eye on the right sales velocity with Pipeliner's customizable, visual Sales Velocity functionality. 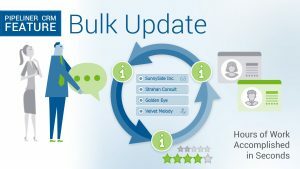 Learn how simple it is to make Bulk Updates to your records. 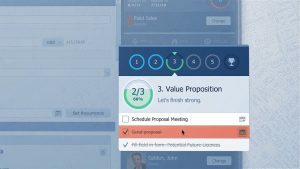 Checkboxes that allow you to stay focused. 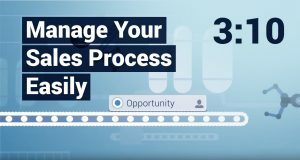 Set up criteria that should be met before moving the opportunity to the next stage. 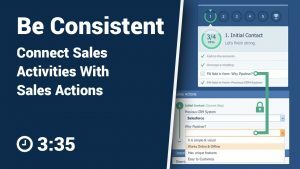 Connect Sales Activities with Sales Actions so that you would benefit from best of both. 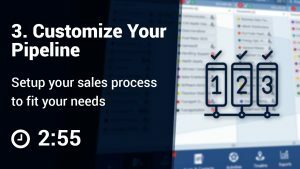 Your business is unique to you and as so is how you probably want to use your CRM, so let’s look at how we provide you with extensive customization options. 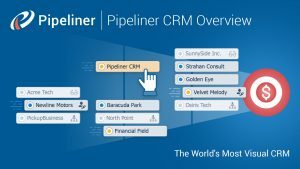 Instantly see how many opportunities you have in each stage with ALL-IN-ONE Pipeline view. 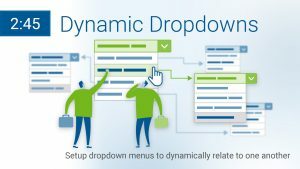 Move them easily by Drag and drop in real time. 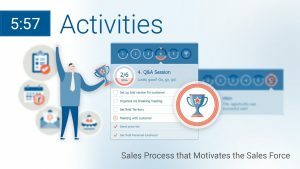 Having your finger on what is happening with your sales organization and being able to act on that intelligence is critical to successful sales management. 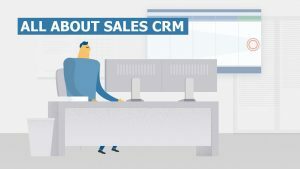 Pipeliner CRM: It’s All About Sales! 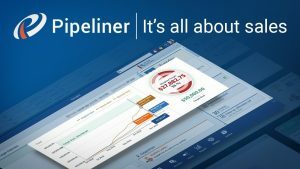 Pipeliner is all about Real Sales Empowerment: Pipeline, Process, Focus & Analytics. 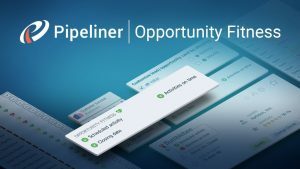 Pipeliner CRM: How Fit Are Your Opportunities? New Opportunity Fitness label will tell you how "fit" an opportunity is to close. Spending on recreational items has been slow to recover but boating is leading its way. 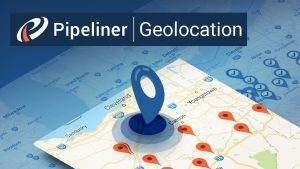 Reveal your records on the map instead of a list for smart route planning and prioritization. 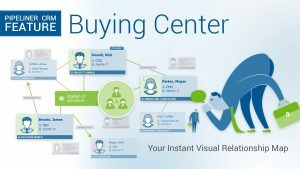 Add new contacts by scanning a visit card and it will then automatically fill all available information. 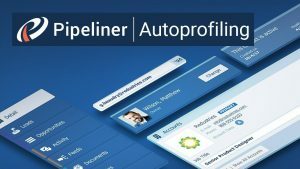 Auto Profilling Accounts and Contacts will automatically fill information about your contacts. 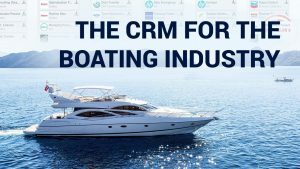 Presenting the CRM Target. 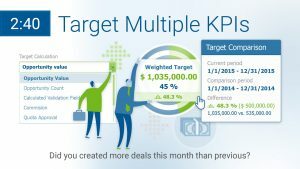 It reveals how you stand against quota using 5 different target types. 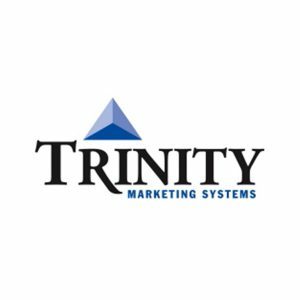 Financial industry demands trust and credibility as clients are trusting you with their money. 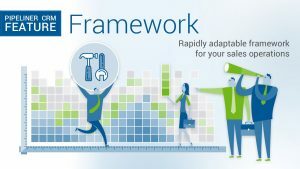 How do You stay focused and cut through the noise in an increasingly complex selling environment?